Your support is greatly appreciated! 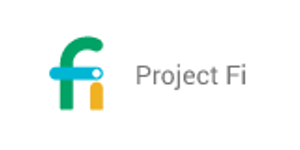 Your use of our affiliate links below help us develop new features and keep the app free. We receive a small commission for purchases made from links on this site at no cost to you. Thank you for your support! With a foreward by Mr. Money Mustache how could we not read this book? The beginning of the book was a great refresher and reminded us that we can still simplify our portfolio even further. He condenses the often daunting world of investing to a strategy that is easy to follow. In the last few chapters he addresses a few more complex topics but even these were presented in a straightforward and simple manner. For those who prefer audio he has now published an audiobook format where you can hear him read the book to you! 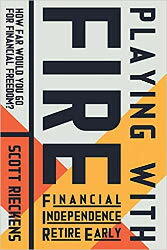 Scott and Taylor's discovery and path to Financial Independence was incredibly engaging. We listened to the audiobook version and really loved hearing their perspectives in their own voices. While the book is not a how-to guide for FI it does provide insight to the emotional and challenging journey as they describe the choices they have to make to achieve their goal. We are excited for the upcoming documentary and look forward to experiencing its impact on the FIRE community and the world at large. 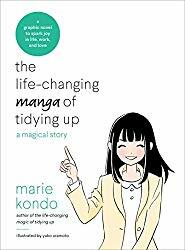 Initially we got this book for our kids to teach them why having a clean room (and house) makes life easier but the whole family ended up reading this resourceful book because we loved it! The kids enjoyed the graphic novel format and learned the process of filtering clothes and items to just those they need. We donated dozens of bags of clothes and items and now have a (mostly) organized, clutter-free home. As an unexpected bonus our kids really enjoyed her folding technique and used it to organize their closets. Oftentimes the path to FI has more to do with the emotional journey than the simple math. 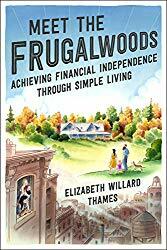 This book resonated with us as we found that after figuring out the math and burning down our spending we still needed to work through the emotional changes. 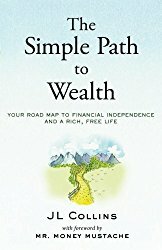 Do not expect to find financial how to's or investing strategies but instead read it if you are interested in a story about a couple who achieved their life's dreams by focusing on what matters to them. Personal Capital is a free tool for financial tracking with automated synchronization of bank accounts, investments, and debts. It also provides a secure, consolidated view of your finances from your mobile devices. Get $20 to try it for free when you track an investment account. 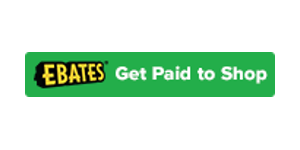 Maximize your purchases by earning cashback through Ebates at over 2,000 stores including Amazon, Lowe's, Target & Walmart. Stacking this with a cash back or points credit card saves you even more money! Get $10 with your first purchase through Ebates with our link. There are no contracts and you get unlimited calls and texts while data costs only $10/GB. Even better you get credited for data you don't use. Internationally you pay the same $10/GB home rate in over 135 countries and still have umlimited texts and low cost voice calls. Get a $20 credit toward your first bill when you join. Get a $40 credit toward your first stay or become a host and make a little money on the side! 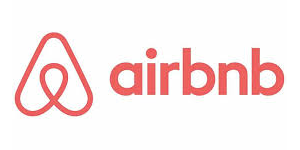 Airbnb provides unique homes to visit all over the world. Because you often are staying in someone else's home or rental unit you have a kitchen and other amenities not typically available in a hotel room.